Password complexity requirements can be frustrating. It comes as no surprise that the current NIST guidelines recommend doing away with them altogether. There was no way I was getting approval to do that across the board in my organization, but I could make the case for having less stringent requirements on longer passwords. Lithnet Password Protection for Active Directory (LPP) has a built-in policy to do exactly this. You can define up to 3 password-length thresholds, each with their own complexity requirements. In my organization, we still have the usual '3 out of 4' character set policy in place for passwords less than 13 characters in length. However, we decided that passwords over 13 characters would have no special requirements. 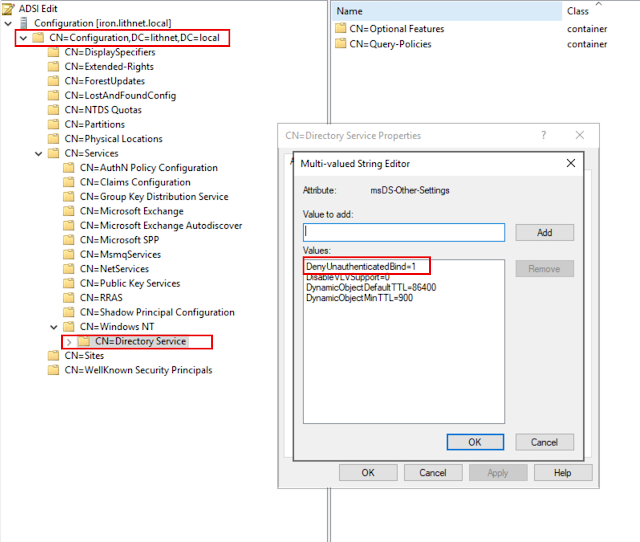 In part 1, we saw how Lithnet Password Protection for Active Directory (LPP) allows us to test incoming password changes for exact matches against known compromised passwords. Well, what if we want to prevent paswords based on certain words? Most users understandably want a password that is easy to remember, but in many cases, they end up choosing a well known 'password pattern' that can easily fall to brute force attacks. A common password pattern I have seen is where a user combines a season with the current year, for example Winter2018 or Summer2017. Now, while this and previous year's versions of these passwords are in HIBP, future ones may not be. We can prevent the use of all passwords based on these words, by using the banned word functionality of LPP. In this guide, we will look at how to set up Lithnet Password Protection for Active Directory (LPP) from scratch. We'll configure a basic password policy, and integrate the haveibeenpwned.com pwned password data set to prevent users from changing their password to one that is known to be compromised. This guide will focus on testing in an Active Directory domain, by installing the agent on a domain controller. However, for testing purposes, you can install the agent on a member server or workstation. The only difference is you'll need to test using local accounts, rather than domain accounts. Hackers have never had it easier when it comes to performing credential-based attacks. Massive lists of breached user names and passwords are readily available on the internet for use in credential stuffing attacks against organizations. Even without the help of such lists, attackers can rely on the fact that people generally choose terrible, predictable passwords. Target a large enough organization, and you have a chance of finding a user with a password from a top 100 bad password list. Okta is a leading provider of single sign-on, MFA, lifecycle management, and API access management products. And starting today, you can easily integrate Okta with Microsoft Identity Manager using the Lithnet Okta Management Agent. Using the native Okta API platform, the management agent can add, delete, and update users, as well as synchronize password changes. You can manage users independently, or coexist with Okta's native AD sync agents, to provide supplementary attributes to objects that are not found in your AD. In January last year, I wrote a (long) post detailing a curious behavior I stumbled across in Active Directory's LDAP interface. By providing a username, but leaving the password blank, you were authenticated as an 'anonymous user'. This is technically a valid LDAP behavior, and is known as an 'unauthenticated bind'. However it's obscure, not well known, and the cause of many security vulnerabilities. Microsoft's Local Admin Password Solution (LAPS) is a very important tool that protects against the risk of lateral movement of threats between computers when the same local admin password is used on each machine. 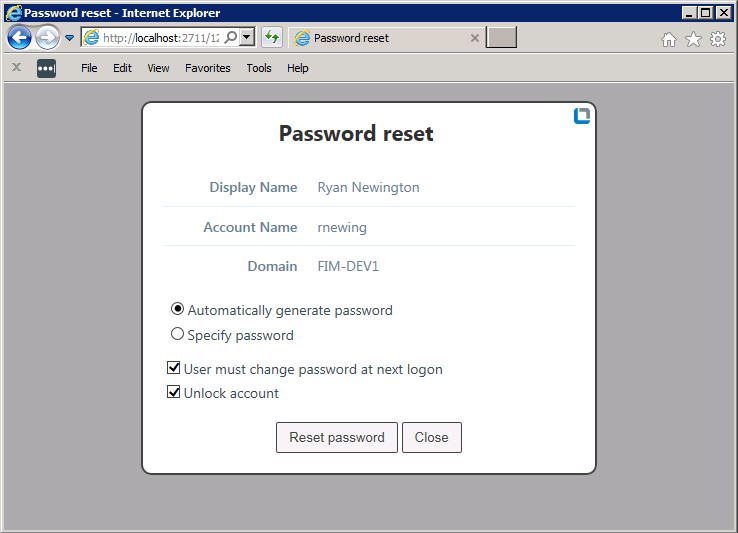 It is an agent that is deployed to each computer that randomises and rotates the local administrator password on each machine, and securely stores it in the Active Directory. While the LAPS mechanism itself is robust and does exactly what it needs to do, the process of accessing the LAPS passwords, and auditing that access is not so straight forward. Support staff out in the field may not have easy access to the tools required to get those passwords. You either need to use PowerShell, LAPS client, or another directory tool such as AD Users and Computers.